Just a year ago, with school ending and summer opening up more time, my brother and I decided that we wanted to complete some volunteer work. 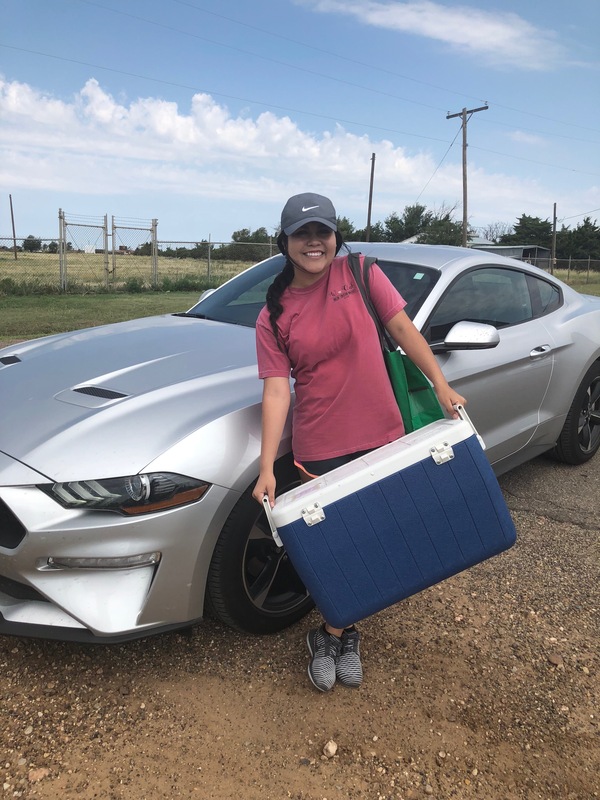 We considered several options but ended up deciding on Pampa Meals on Wheels, drawn to the idea of actually getting to meet some individuals throughout the community. What started as just a small spark of an idea turned into a summer long adventure. We went in at least two times a week to help package meals in the kitchen then received a cooler and a bag filled with desserts or sides to be delivered to the individuals on our route: Route 10. Some of my most favorite memories last summer came from this volunteer experience. We heard incredible stories, shared lots of smiles and laughter, and ultimately got to see another side of the people within our community. Unfortunately, I was not able to go in for most of this summer. 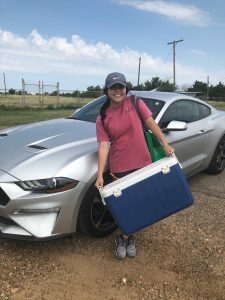 With a part-time job in town and a fantastic internship at Amarillo Area Foundation that had me commuting, my schedule conflicted with the kitchen and delivery times of Pampa Meals on Wheels. However, with my internship officially ending just last week, I was thrilled at the opportunity to once again work with this organization. And that is exactly what I did. I came in Tuesday and was welcomed by the wonderful ladies and volunteers before being immediately placed in a position in the kitchen. We lined up, each volunteer with a small but important job, and started our assembly line. This is about how Wednesday, Thursday, and Friday went in the kitchen. I found myself counting meals, packing meals into their appropriate bag and cooler, helping with the sealing of each tray, and even sprinkling cheese on the casseroles in each tray. However, because I had not been a deliverer throughout the summer, I did not have a specific route. Instead, I filled in for drivers who could not complete their deliveries. Going solo instead of with my sibling (who has been working full-time) was interesting to say the least. I realize that Pampa is a small town, but believe me when I say that I was doing loops in the same neighborhoods trying to find the correct houses. It was a blast, though. I had the chance to visit areas of town I was not as familiar with and chat with the individuals receiving these meals. Nevertheless, I did receive a treat. On Thursday, a driver unexpectedly called in to say he would not be able to make it. I was given his route to complete. It was Route 10. It was my old route from the summer before. The entire drive was a nostalgic experience. Some individuals didn’t remember me and some individuals were new. Yet, some did. Walt did. Neva did. Even Orville did. It was so great getting to catch up and see that they were still doing well. About to head out on a delivery route. 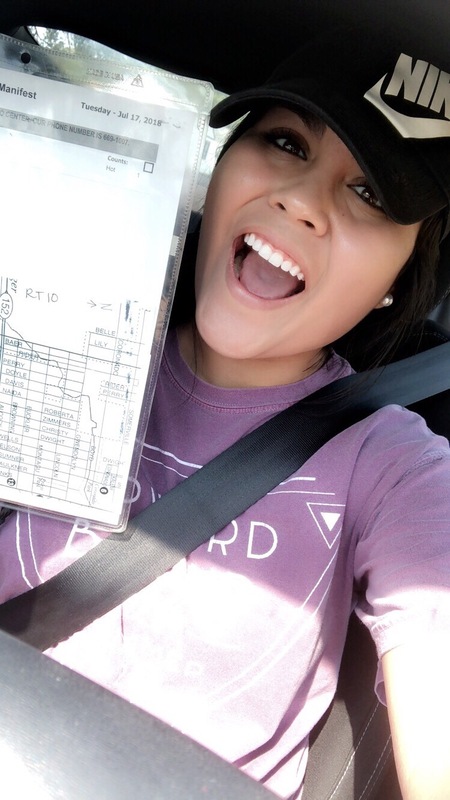 My face of excitement when I got my route from last summer.